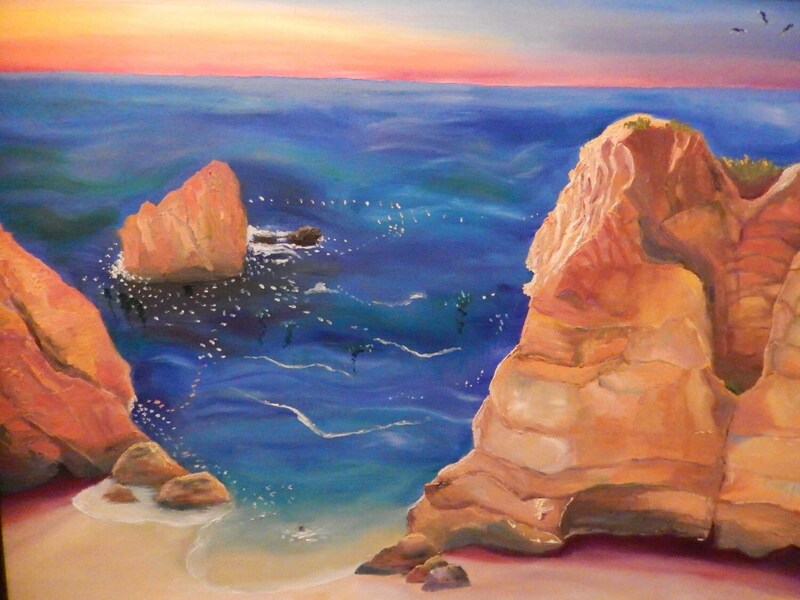 THE GIANT ROCKS is a 24” x 30” Unframed painting. This is a very large painting that will light up an entry way to an office or a living room wall. The brilliant colors catch the eye and add to any decorating color scheme. 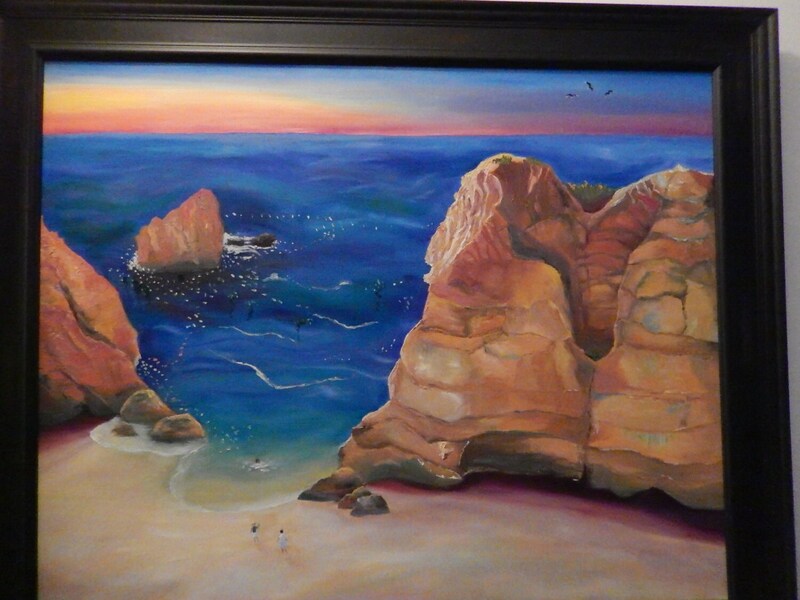 This brilliant painting depicts the impressive rock formations around the ocean in Portugal. The rock formations are very picturesque. The water is a deep vivid blue, with some rocks extending into the sea. The sunset is just setting over the horizon, giving the sea an even deeper blue cast. The surf breaks over some of the rocks and you can almost see the algae floating around them. 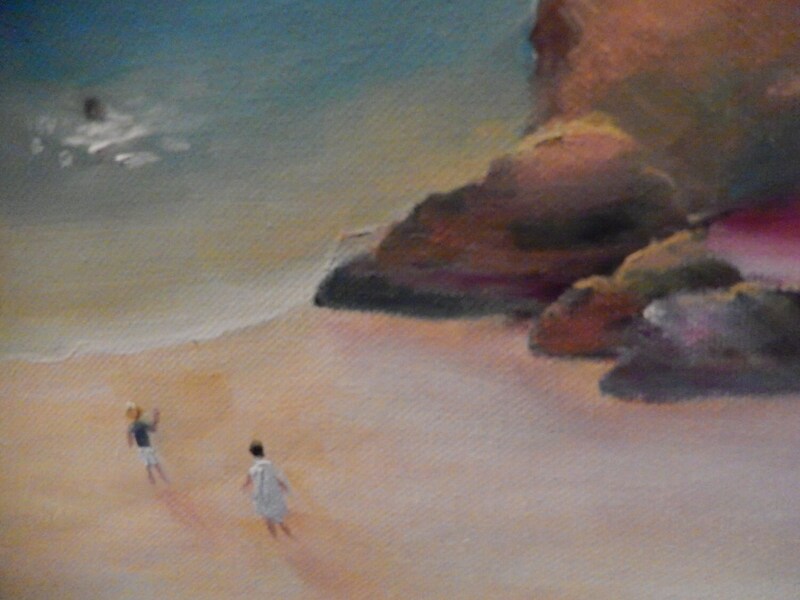 There is someone swimming in the tide pool, as two others walk toward him on the beach. 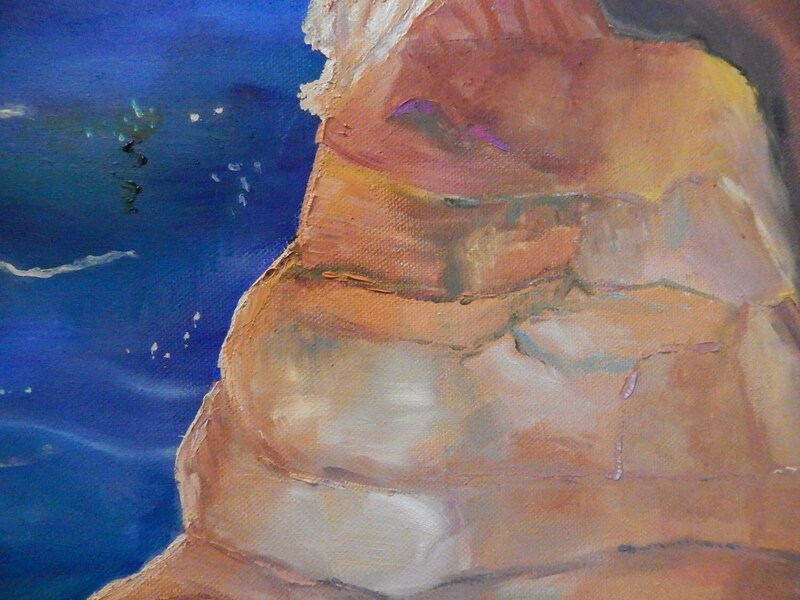 I especially love painting rocks and mountains and loved painting this one. This is a very large painting. It is hard to photograph it, so there are many closeups. The first picture is of the giant rocks. The second picture is what the painting would look like if it were framed. A FRAME IS NOT INCLUDED in the price of the painting. If a frame is wanted, email me and a revised price can be negotiated. 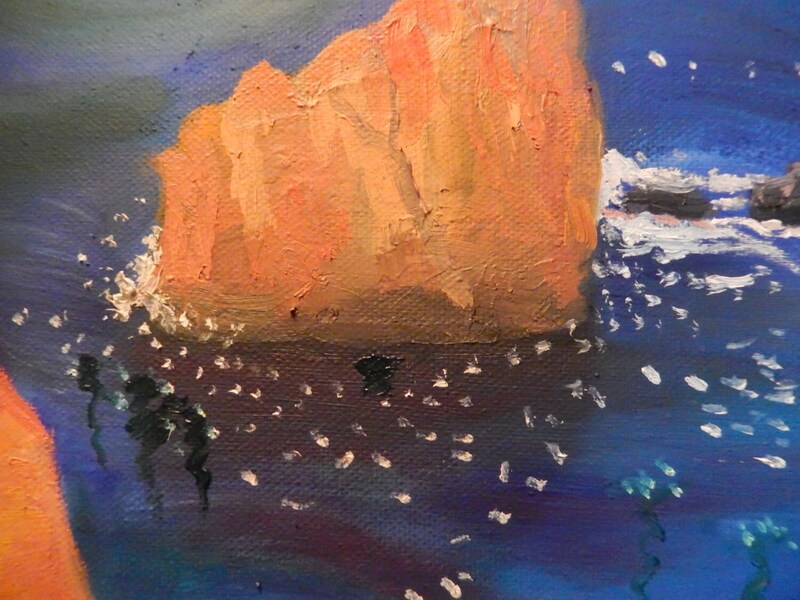 The third, fourth, and fifth picture are closeups of the painting. They highlight the top of the rock, showing the deep blue sea. Another shows the rock out in the ocean, with the algae and surf around it. The final one shows the swimmer and friends. This is a stunning piece that anyone would be proud to own.